Yemi Alade is not Nigeria’s finest Afro-Pop star neither is she a top ranking favorite, but on the continent, the energetic Singer holds a cherished spot- one that makes her sought after. 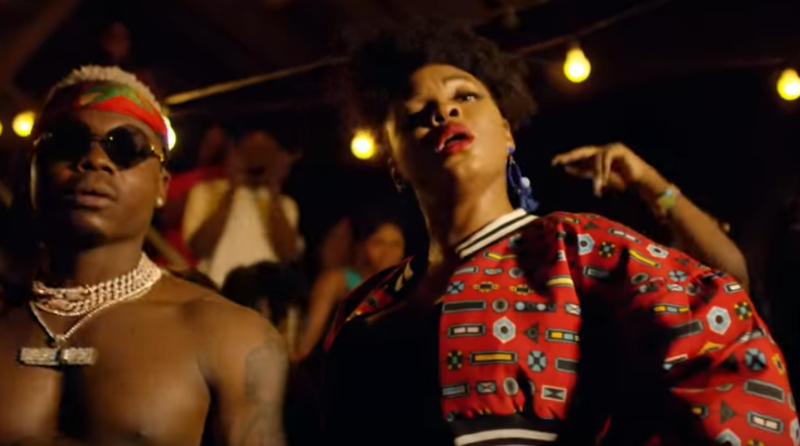 Months after teaming up with Harmonize of Tanzania for an upbeat track off his debut EP; Afro Bongo, she reprises her role in the raunchy video for Show Me What You Got. Uncommon to her brand, Yemi Alade relegates dancing in the raunchy video, leaving the energetic activity for Harmonize’s muses who inspire a heady ambiance that mirror his ranuchy lyrics and the sensual theme of the song. With the Afro Bongo EP, Harmonize has been able to extend his tentacles to the crevices of Africa, powered by his apt choice of features upon which Yemi Alade ranks high.